Make your wedding or holiday party truly special with our event catering in Everett, WA and surrounding areas. Rose's Classic Catering, LLC. serves most of Washington State. We are committed to designing and delivering delicious food and customized menus, as well as attentive service for any occasion. With our experienced and exceptional staff, creating a custom feast for your next party or special event is both our purpose and our pleasure! No matter what event you're planning, our catering business can provide a delicious menu for you and your guests. Choose from our breakfast, lunch, or dinner menus. We have options for every meal of the day. Add cakes, pies, or cookies from our bakery to your event catering plan. Everyone loves dessert! Arrange for a complimentary taste of our incredible, home-cooked cuisine! Your event is the essential part of what we do at Rose's. Every customer who calls us needs something a little bit different, whether it's fine linens and wait staff or just a beautiful, feel-good feast. 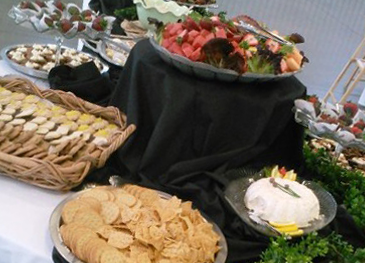 We find a way to deliver on everyone with our full-service event catering in Everett and to create event menus that range from sophisticated to the comfortable and cozy. No matter what, we always provide delicious food and attentive service at affordable prices. We take pride in being able to offer our customers the right event catering services, with the freshest ingredient, to make their event an undeniable success. Thank you for your interest. 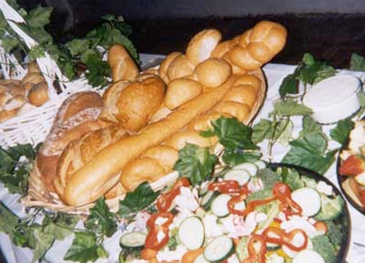 We can provide services for any occasion from funeral catering in Everett, WA to corporate catering in Edmonds, WA. Contact us at 425.772.2292, today. We are look forward to hearing from you soon.